Generally these are available for participation for a short time then disappear quickly. Anyway we will do our best to keep this updated. TORONTO, ONTARIO– (Jan. 29, 2015) – Revive Therapeutics Ltd. (“Revive” or the “Company”) (TSX VENTURE:RVV) is pleased to announce the initiation of a Phase II-A clinical study in patients with gout in the U.S. The initiation of the Phase II-A study for gout follows Revive’s recent announcement that the U.S. Food and Drug Administration (“FDA”) has accepted the Company’s Investigational New Drug Application (“IND”) to commence a clinical trial for REV-002 (Bucillamine) for the treatment of gout. The Phase II-A study is an open-label, multicenter, active-controlled, parallel-group clinical trial designed to evaluate the safety and efficacy of two doses of Bucillamine compared with low-dose Colchicine in the treatment of patients with acute gout flare. 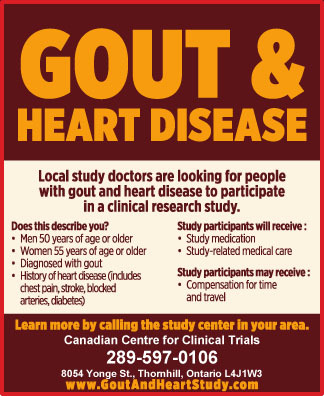 The study will be performed in a total of sixty-six eligible patients, who are confirmed with qualifying gout flare, and who will be randomized in a 1:1:1 allocation ratio to either Bucillamine low dose, Bucillamine high dose or Colchicine treatments over a seven day treatment period. The primary efficacy endpoint will be the proportion of patients who responded to treatment. Treatment responders are defined as a ≥ 50% reduction in target joint pain score from baseline at 72 hours post dose without using rescue drug. The secondary efficacy endpoint will be the proportion of patients with ≥ 50% reduction in target joint pain score from baseline at 24 hours and 48 hours post dose without using rescue drug. Exploratory endpoints will also include measurement parameters in uric acid, C-reactive protein, Interleukin-1beta, and Interlleukin-6. Although gout is a treatable condition, there are limited treatment options, many of which have adverse side effects. Drug treatment for gout includes anti-inflammatory agents (non-steroidal anti-inflammatories (NSAIDs), corticosteroids, colchicine) and serum urate-lowering therapies, which work by lowering body stores of uric acid. Treatment of gouty inflammation is complicated by the fact that gout patients have a high incidence of cardiovascular and metabolic comorbidities. Common comorbidities include hypertension (70-80%), coronary artery disease (>30-40%), chronic kidney disease (~30-50%), diabetes (~25-40%), gastrointestinal tract diseases, and congestive heart failure (Source: Keenan, RT et. al., Prevalence of contraindications and prescription of pharmacologic therapies for gout. Am. J. Med. 2011, 124: 155-163). Managing patients with these comorbidities is challenging because many of them are contraindicated for medications currently available to treat gout. For example, corticosteroids can cause hypertension and worsening of blood sugar, and NSAIDs have substantial renal and cardiovascular toxicity. A majority of gout patients harbor moderate to strong contraindications to multiple first-line gout treatment medications. There were 14.3 million diagnosed prevalent cases of chronic gout in the major pharmaceutical markets in 2012, which is forecast to increase to 17.7 million by 2021 (Source: Decision Resources 2012). The prevalence of gout in the U.S. affects approximately 8.3 million (~3.9%) of American adults (Source: Arthritis Rheum. 2011 Oct; 63(10):3136-41). 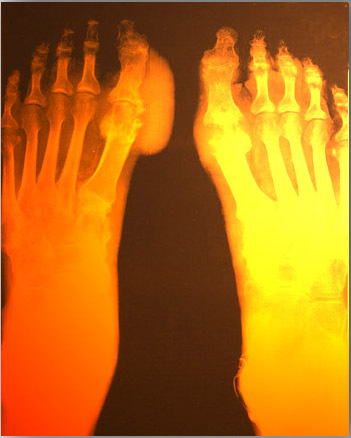 It is estimated that the gout disease treatment market value will increase from $989 million in 2013 to $2.28 billion by 2018 (Source:GlobalData 2014). Gout is a painful disorder caused by elevated serum uric acid (sUA) in the body due to under excretion of uric acid and/or over production of uric acid. Most patients on the most commonly employed regimens for uric acid lowering fail to achieve a satisfactory serum urate level. Poor control of gout can lead to acute attacks of severe pain, and chronic joint damage and impairment of health related quality of life. Accordingly, there are needs in the market for new therapies to control gouty inflammation and hyperuricemia. 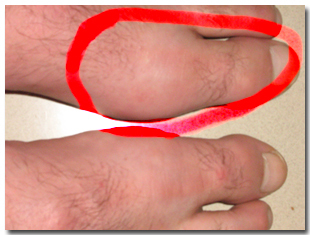 REV-002 (Bucillamine) is being repurposed by Revive as a potential new treatment for gout. Bucillamine is a disease-modifying anti-rheumatic drug, which is prescribed for rheumatoid arthritis in Japan and South Korea. In animal studies for gout, it has been shown that REV-002 limits inflammation alone and in combination with colchicine, and at higher doses it lowers uric acid especially in combination with allopurinol. REV-002 will be evaluated in a Phase II-A clinical study in patients with gout in the U.S.
Revive Therapeutics Ltd. (TSX VENTURE:RVV) is focused on acquiring, developing and commercializing treatments for major market opportunities such as gout, Rett syndrome, a rare disease, and post-operative pain. Revive aims to bring drugs to market by finding new uses for old drugs, also known as drug repurposing, and improving the therapeutic performance of existing drugs for underserved medical needs. Additional information on Revive is available atwww.revivethera.com. This news release includes certain information and statements about management’s view of future events, expectations, plans and prospects that constitute “forward looking statements”, which are not comprised of historical facts. Forward-looking statements may be identified by such terms as “believes”, “anticipates”, “intends”, “expects”, “estimates”, “may”, “could”, “would”, “will”, or “plan”, and similar expressions. Specifically, forward looking statements in this news release include, without limitation, statements regarding: the closing of the Offering and the use of proceeds therefrom; the Company’s drug research and development plans; the timing of operations; and estimates of market conditions. These statements involve known and unknown risks, uncertainties, and other factors that may cause actual results or events, performance, or achievements of Revive to differ materially from those anticipated or implied in such forward-looking statements. The Company believes that the expectations reflected in these forward-looking statements are reasonable, but there can be no assurance that actual results will meet management’s expectations. In formulating the forward-looking statements contained herein, management has assumed that business and economic conditions affecting Revive will continue substantially in the ordinary course and will be favourable to Revive, that Revive will be able to obtain all requisite regulatory approvals to commercialize its drug candidates, that such approvals will be received on a timely basis, and that Revive will be able to find suitable partners for development and commercialization of its drug repurposing candidates on favourable terms. Although these assumptions were considered reasonable by management at the time of preparation, they may prove to be incorrect. Factors that may cause actual results to differ materially from those anticipated by these forward looking statements include: uncertainties associated with obtaining regulatory approval to perform clinical trials and market products; the need to establish additional corporate collaborations, distribution or licensing arrangements; the Company’s ability to raise additional capital if and when necessary; intellectual property disputes; increased competition from pharmaceutical and biotechnology companies; changes in equity markets, inflation, and changes in exchange rates; and other factors as described in detail in Revive’s Annual Information Form for the period ended June 30, 2014 and Revive’s other public filings, all of which may be viewed on SEDAR (www.sedar.com). Given these risks and uncertainties, readers are cautioned not to place undue reliance on such forward looking statements and information, which are qualified in their entirety by this cautionary statement. Except as required by law, Revive disclaims any intention and assumes no obligation to update or revise any forward looking statements to reflect actual results, whether as a result of new information, future events, changes in assumptions, changes in factors affecting such forward looking statements or otherwise.